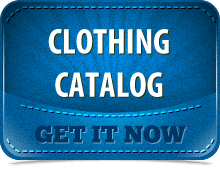 The Best in Customized Garments in Ohio for over 25 Years. Unbeatable Service. Our screen printing and embroidery production facilities, centrally located in Nashport, Ohio just outside of Zanesville and Newark, near Columbus, Ohio, allow us to serve a wide area that encompasses all of Ohio from Cleveland to Cincinnati to Toledo and much of the surrounding states exactly like we serve our customers next door. The rapid response and personal communication with our customers are keys to you getting what you want when you want it. When we say it will be done, it will be done on time, every time. Every order, large or small. Experience. 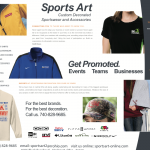 In 1989 we began printing for a select group of sporting goods stores. Embroidery was added in 1991 for an ever-expanding clientele. Digital and heat applied graphics weren’t far behind. Over the years our services have grown to accommodate nearly any type of decorated garment or accessory for any occasion from corporate events and fundraisers to licensed sportswear and everything in between. Any volume. We are experts in our trade and will use that expertise to bring your product to life. Count on it. Quality and Value. It’s really the same thing to us. A product can’t have value if it has no quality. Our customers expect value, and they should. Our reputation depends on quality. We demand it of ourselves. No business lasts very long in our line of work without it. Our processes are geared toward quality first, never to volume first. Think about it: What will be remembered in the long term, how good it was or how cheap it was? There is a BEST way to decorate any item. Let us know what you have in mind for your finished product and we’ll guide you through the steps to a perfect result. Screen Printing is typically used to decorate knit garments such as tee shirts and fleece sweatshirts with single color, up to 10 spot colors, process colors, special effects or a combination of all. Screen printing is, generally speaking, the most economical way to decorate apparel for fundraisers, handouts, crews, teams, events, gatherings and more. Most designs have excellent wash fastness and brilliancy when applied to quality garments. Pricing is based on quantity, number of colors used and the image complexity. We started our business over 25 years ago with a single, manual screen printing press, a dryer, some ambition and a few great customers. We now have a staff of amazingly skilled printers, ink mixers and screen makers who, honestly, put the “founders” to shame! Our staff is top notch. Our equipment is modern. Our screen printing proves it. Machine embroidery is the best decoration method when embellishing many higher end garments like polo shirts and jackets for business attire, staffs, corporate identification, gifts and awards. In addition, embroidery is the hands-down best way to decorate headwear such as ball caps and beanies. Intricate and durable, embroidery on your garment says “class”. Most embroidered designs are priced using a combination of stitch count, garment properties and area dimensions. Logos are typically smaller such as heart crests and cap fronts, but jacket backs and sweatshirt fronts are popular as well, especially for high school teams, collegiate sportswear, fraternities and sororities. All decoration provided by Sports Art is done in-house at our facility in central Ohio. Sometimes we are asked if a job will be too small for us. No. A job too large for us to handle? No again. We have round-the-clock embroiderers making sure of it. Really. 24 hours a day. Producing orders large and small on our Tajima and Brother machines. 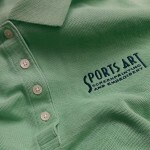 Some of these folks have over 20 years experience doing embroidery on sportswear! We’re proud of them. They’re the reason your garments look awesome. DTG is an ideal method of decoration for detailed art on short runs (economy due to low setup charges) or long runs of outstanding detail and clarity. Low set-up costs and reasonable prices allow anyone to wear real art! Per piece decoration costs are usually higher than screen printing using this method, but set-up costs are much lower, providing economy at low quantities. Direct to garment works best on 100% cotton knit items, typically tee shirts, and can be applied to light or dark colors. DTG is a common method of decoration for bands, reunions, special events, trade shows, rallies, grand openings, art reproductions and awards. We’re currently just scratching the surface of our versatility with DTG. Every week we learn of a different method, procedure or garment the DTG equipment allows us to produce. If the design can be printed on paper, chances are good it can be printed on a garment with virtually the same detail and color. Designs you create can be printed, as-is,, with minimal setup and no expensive color separation work. Maybe the oldest, and still one of the most versatile methods of embellishments are the many varieties of heat applied graphics. Team uniforms, softball leagues and “retro” garments, personalizations and single use tees. Who of us hasn’t owned a flock lettered t-shirt at one time or another? Today’s methods are generally far superior and much more sophisticated than in the past. What used to be limited to custom cut vinyl lettering and athletic numbering widely used on sports uniforms, or simple graphics on a softball shirt has been improved by digitally printed graphics on vinyl, combination print and cut technologies and custom sequin patterns, glitter, glow-in-the-dark or safety reflective to name a few. Many garments and accessories that are unsuitable for screen printing, embroidery or DTG can be easily decorated with a heat applied graphic. Moisture wicking fabrics, spandex and other performance fabrics are stylishly customized with it. Bags with the smallest of printable areas are good candidates for colorful logos. A variety of water- repellent outerwear, work wear and safety wear can be decorated with success. At Sports Art we design your graphic and recommend the best heat applied graphic for the items you desire. We don’t just “make it work”. We make it “Right”. We carry everything from the simple to the sophisticated, outdoors or in the office. Our wide selection covers all the bases. Most items are readily available right here in Ohio, Others available in a day or two. Plenty quick enough for us to decorate and present it to you in time for your deadline or event. Browse around and let us know if something catches your eye. We’d love to help you create your next new look!